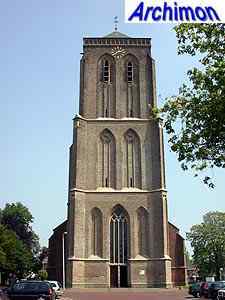 The old church of Didam is a three-aisled pseudo-basilica in Lower-Rhine Gothic style. 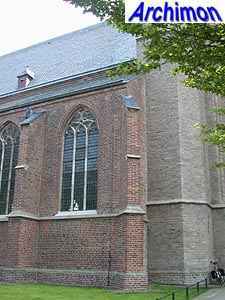 It was preceded by two smaller churches on the same location, the latter of which was gradually replaced by the current building. 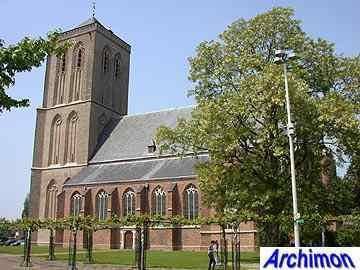 Its oldest part is the choir, which was built shortly after a fire in 1367. 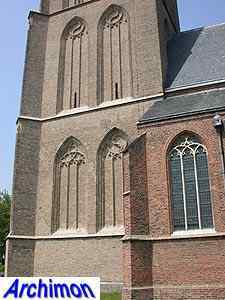 At that time, the rest of the church was Romanesque and made of tuff rather than the brick usede for the choir. 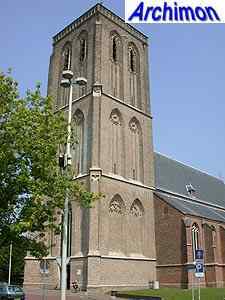 The current tower was completed in ca. 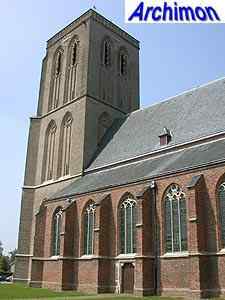 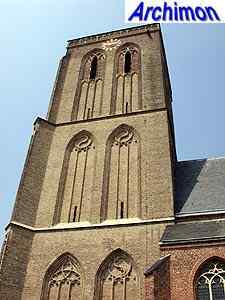 1458 and is closely related in style to towers in Doesburg and Tiel. 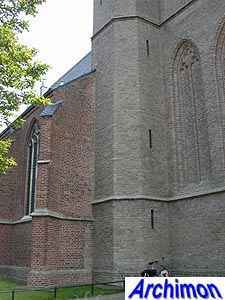 Although made of brick, its outside is covered with tuff. 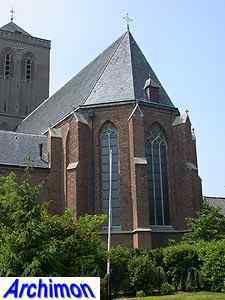 Originally it was crowned by an octagonal spire; the current roof dates from 1846. 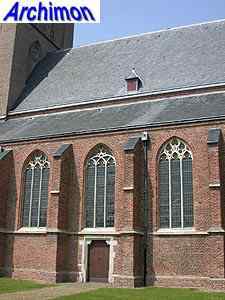 The nave and side-aisles date from ca. 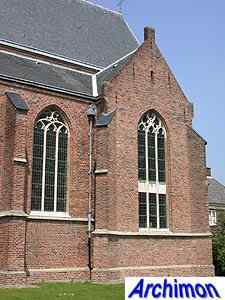 1493-1494. 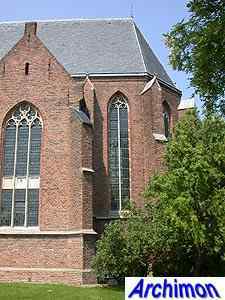 From the Reformation until 1953 the church had been in the hands of the protestants. 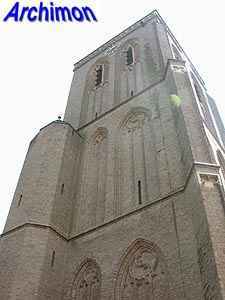 That year it was returned to the catholics. 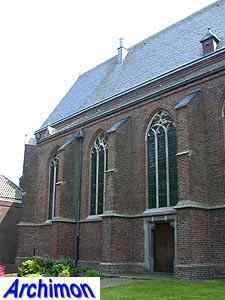 After five years of restorations, which included the reconstruction of most of the vaults and the transformation of the easternmost trave of the southern side-aisle into a transept-like chapel, it was taken in use again as the second catholic church of the town. 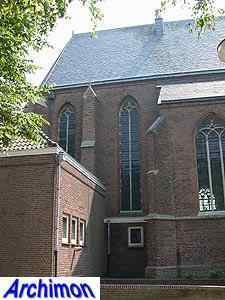 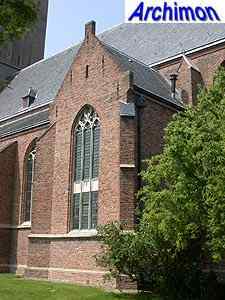 The other church, the St. Martinus, the modern (1978) successor of a church built in 1850, was closed in 2005.